Parish councils are the lowest tier of government. The parish council is responsible for a parish, a small area enclosing one community. It is no longer anything to do with the church although it once was. If the community is sufficiently large the council may be called a town council, rather than a parish council but its responsibilities and powers are the same. The next tier above the parish council is the district council, West Berkshire Council, which covers a much wider area. The parish can get money from its residents in the form of a ‘precept’ which is added to the amounts requested by the district council and the police and fire authority. It is then collected by the district council in the council tax. WHAT DOES PURLEY ON THAMES PARISH COUNCIL DO? The planning authority is West Berkshire Council, but it sends details of every planning application within the parish to the Parish Council for comments and will take into account the Council’s views when coming to a decision. West Berkshire Council is the highway authority, but it consults the Council when it is considering any road scheme, for example placing double yellow lines or speed restrictions. The Council has other powers and duties and the Clerk is often able to assist with local issues. The Council takes the lead in getting many things done in the village. It works in partnership with West Berkshire Council, Neighbourhood Action Group, Thames Valley Police and others. It also has an active Flood Protection Plan and has appointed volunteer Flood Wardens to assist during a flood emergency. 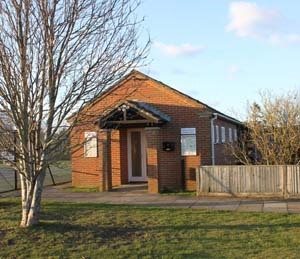 The Council normally meets in the Parish Office on Goosecroft Recreation Ground, the building next to the tennis courts. There are thirteen councillors plus the Clerk, Assistant Clerk and Amenities Manager, who are paid employees. The Chairman of the Council is currently Sue Briscoe. The full council meets every five to six weeks. There are also four committees comprising Recreation, Highways and Footpaths, Barn Management and Planning. The meetings are held in the Parish Office at 7.30pm, apart from Planning which is at 6:00pm. All meetings are open to the general public. You have no right to speak during the meeting but there is always an opportunity at the beginning of the meeting for the public to speak or ask a question. The originals can be viewed in the Parish Office by appointment. The Council has a publication scheme under the Freedom of Information Act and most documents, if available, can be viewed. The names and telephone numbers of all parish councillors can be found on this website, using the ‘Councillors’ button. Booking forms for the Barn are available on the website. Other requests must be sent to the Clerk. The Amenities Officer is responsible for Barn bookings. The Parish Council has a notice board for official notices and some local notices (space permitting) at the following sites: Post Office, Purley Rise, Mapledurham Drive, Colyton Way (shop), Knowsley Road (Purley end), Long Lane (Orchard Close), off Clarendon Rise (playground).